This innovative new product line consists of brushed anodized aluminum, fused to black acrylic and mounted on an acrylic base. 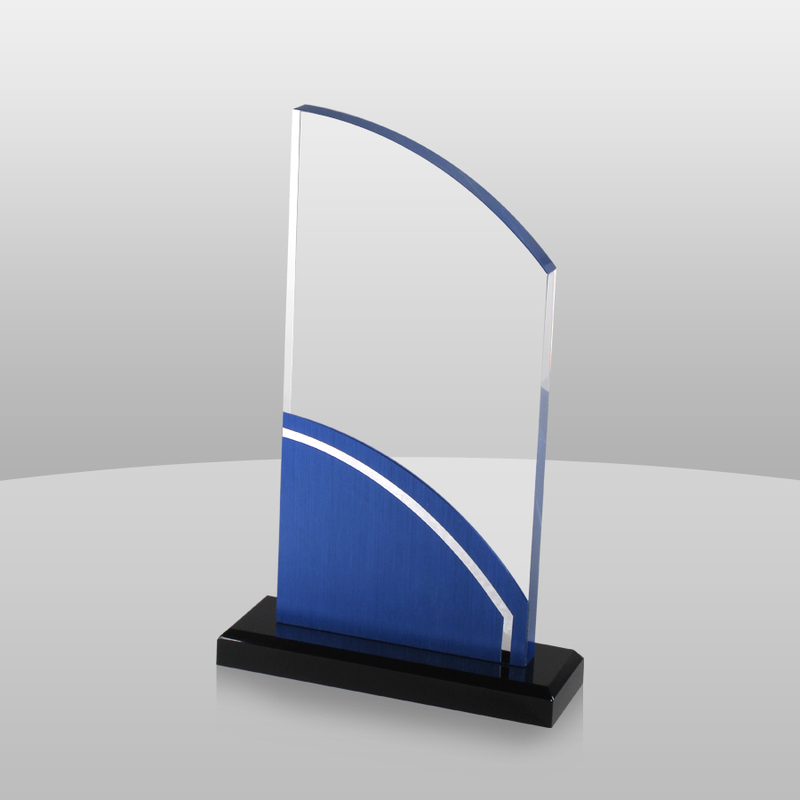 These acrylic awards feature anodized aluminum that is fully engravable with C02 or Fiber laser. Available in one size with base and comes in colors; Cobalt(Blue), Garnet (Red), and Graphite (Gray).